Karen Melo Ticas, a CERTIFIED FINANCIAL PLANNER professional, runs an independent practice focused on serving healthcare and business professionals and the LGBTQ community. As an advisor with Baystate Financial, she has access to the firm's many resources and experienced professionals. Karen developed her passion for retirement planning in her early years as a broker services representative for Putnam Investments. Being first generation American, she has a deep appreciation for the meaning of hard work, diversity and building the life of your dreams. 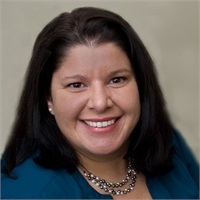 Karen has a bachelor's degree in Finance, with a minor in Economics, from the University of Massachusetts – Dartmouth. She then studied at Bentley University while working towards her Certified Financial Planner designation. Most recently she attained the Retirement Income Certified Professional designation to help her better serve her clients in their golden years. When she's not working with clients and building her practice, Karen enjoys travelling with her husband and spending time with her Little Sister mentee, a bright teenager she first met at the age of eight through Big Sisters of the Ocean State. You can often find her relaxing with a book and a glass of red wine, cooking a low-carb recipe or practicing her newest passion, Latin dance. Baystate offers planning services and wealth management as well as investment and insurance products from various vendors. As such, Karen can be compensated in the form of set fees and/or sales commissions, depending on the services you choose. She holds these licenses in her resident state of Massachusetts, as well as several other states, and additional states can be added to accommodate clients throughout the United States. 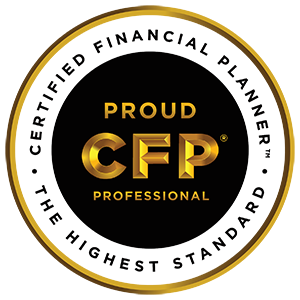 These licenses, along with the CFP® designation, require that Karen be held to a fiduciary standard of care, meaning, she must provide recommendations that are in the best interest of her clients. For a copy of her SEC Form ADV-Pt.2, please click here. The ADV form is a brochure required by the U.S. Securities and Exchange Commission to provide information such as: an adviser's education, work history, conflicts of interest and disciplinary information, if any. 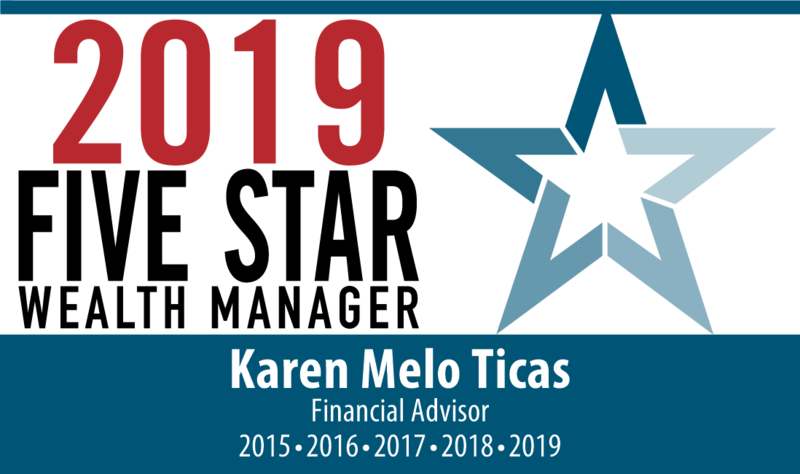 Karen has been recognized as a 2019 Five Star Wealth Manager! For the fifth consecutive year, Karen was honored with the Five Star Wealth Manager Award. It is a national recognition based on years of experience and a clean compliance record, as well as the number of professional licenses held by the advisor. For 2019, only 5% of licensed wealth managers in the Providence area were selected to receive this award! The FIVE STAR Award is granted by Five Star Professional, an independent 3rd party marketing firm. This award is not indicative of future performance or success and stems from nominations by industry professionals in a given market area and based upon objective criteria including retention rates, client assets administered, reviews conducted by the firm, as well as favorable regulatory and complaint history.